By default, comments (also called discussions) allow readers to respond to your posts. Typically readers simply provide their own thoughts regarding the content, but users may also provide links to other resources, generate discussion, or simply compliment the author for a well-written post. Note: In 2015, WordPress changed the default behavior of comments. Comments are now only available for Posts, not Pages. 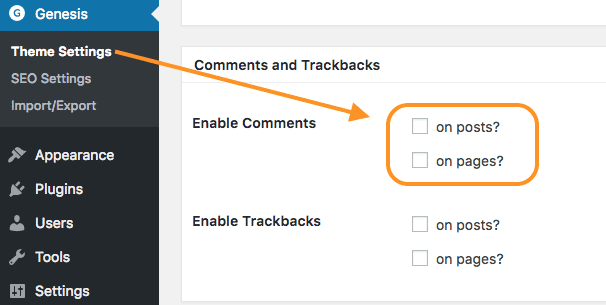 How to enable or disable comments on all your future posts. Go to the Admin Panel and select Settings > Discussion. Note: This is for new posts only. 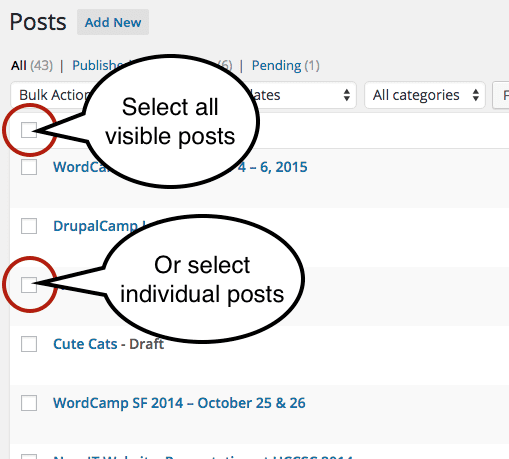 If you have published posts, you will need to turn them on or off individually or in bulk. See below. If you are using one of the Genesis framework themes, you may also have to enable comments in the Genesis settings. Genesis also allows comments on Pages in addition to Posts. Go to the Comments and Trackbacks section. Check the box next to Enable Comments for Posts and/or Pages. How to enable or disable comments on an individual post. Go to the Admin Panel and click Posts. Locate the title of the page. Hover beneath it and click Quick Edit. Uncheck “Allow Comments” to turn comments OFF. Check “Allow Comments” to turn comments ON. How to enable or disable comments on multiple posts. 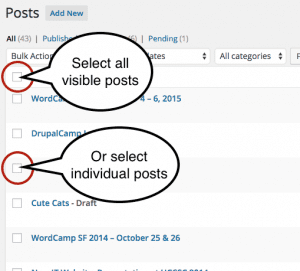 If you want to turn comments on or off for older posts, you can do that on published posts in bulk. Check the boxes next to the posts that you want to disable comments or click the box at the top for all the visible posts. Change Comments to “Do Not Allow” to turn off comments or “Allow” to turn comments on. This turns comments on or off for the selected posts. Another method to disable comments on older posts is to automatically close them after a specified time. Choose a number of days to leave comments open. Older posts will automatically close after the specified days. Click Save Changes at the bottom of the screen. 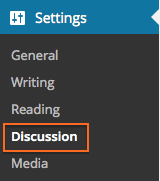 WordPress also has some additional settings to allow you more control over who can comment. Automatically close comments after a specified period of time. Enable threaded comments and decide how deep the nested comments can go. Notifications – You can also have email sent to the site owner when a comment is posted and/or when it is held for moderation. Moderation – You can also hold all comments until an administrator approves of the comment or only allow comments from someone who has been approved in the past. If you have made any changes, make sure to click Save Changes.